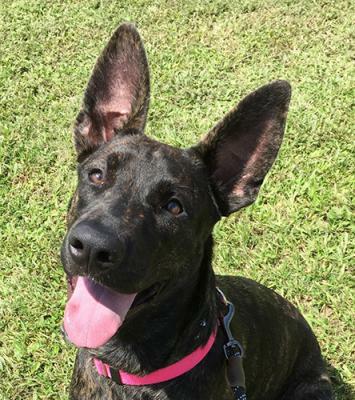 PUPPYBECKYAKASTELLAHASAHOME - Southwest Florida German Shepherd Rescue Inc.
LOTS OF GREAT INFO ON THE BREED http://www.chercarkennels.net/dutchshepherds.html PUPPY Becky was dropped off today by her owner who is relinquishing her because she did not wish to train her. 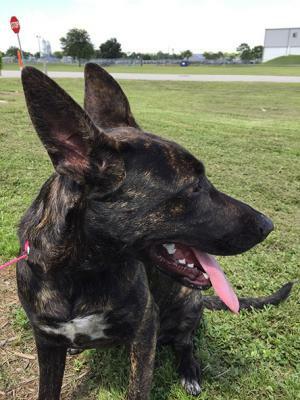 The dog is a pudgy puppy brindle spayed female DUTCH SHEPHERD not to be confused with a German Shepherd. There is some great info on the breed in the web site above. 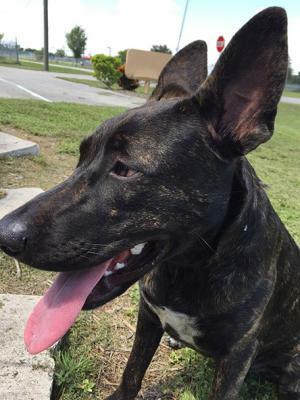 She is house broken and sweet but needs a strong hand in training as does every young dog. She is food motivated and eager to please. Quite frankly i would keep a dog like this any day. 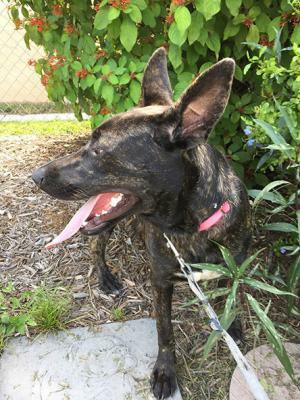 She is cat friendly and dog friendly and extremely people friendly. She is still a puppy any need direction in so far as mouthing is concerned. She did it to me once and after correction, never did it again. The same was true with her foster. She learns quickly. 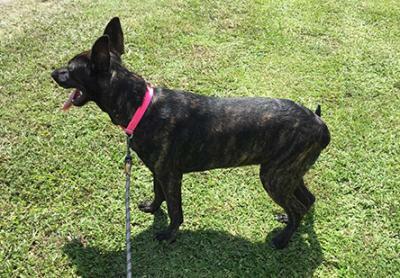 She is being housed in Naples and she is being seen by a prospective adopter on Monday. Should they not take her we will go to the next family suitable for her. Once we get more information I will post it but in the mean time here are a few photos taken today 7/26/2018.